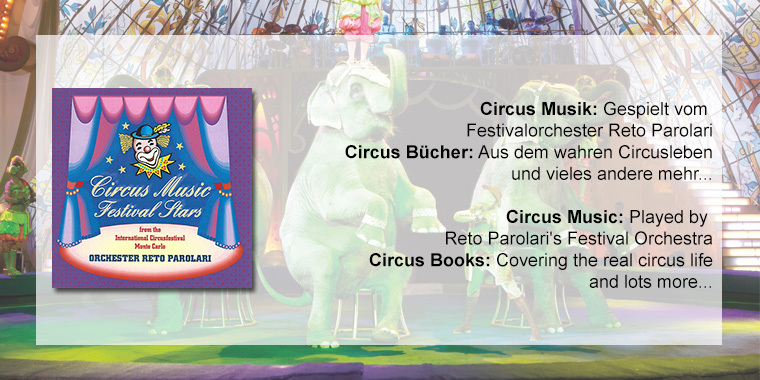 Circus, Circo or Cirque - we have everything that circusfans enjoy: circus magazines, circus books and circus music. 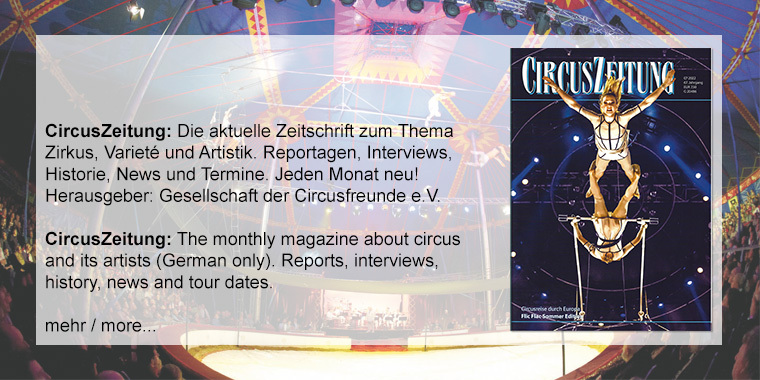 Here you will find the latest news and reports from the circus world, background information about circus animals and their training as well as stories and interviews with circus artists. 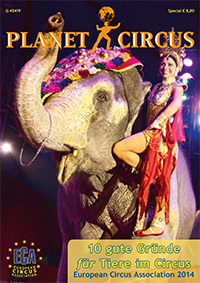 Animals, clowns and acrobats - the whole world of the circus!